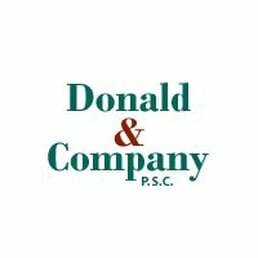 Serving the greater Lexington area for over twenty-five years, Donald & Company, PSC can assist in business or personal financial needs. Their services include accounting, bookkeeping, payroll, new business startup consulting, individual and business tax planning and corporation, divorce & financial consulting, IRS representation, as well as QuickBooks setup, training, and support. Work For Donald & Company, PSC? Claim This Page.